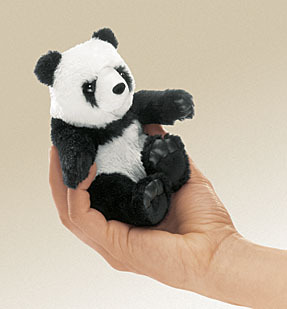 Pandas love to eat bamboo and this little finger puppet is no exception. Place him on your finger and let you imagination roam. Finger puppet measures 4" long.